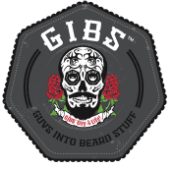 GIBS Grooming Named Finalist in BTC Stylist Choice Awards! GIBS Grooming has been named a finalist in Behind The Chair's Stylist Choice Awards for “Favorite Barbering/Grooming Brand." We'll find out who takes the category June 4 at Premier Orlando. Thanks for your continued love and support. For tix and more info, click here.